AIB declined to comment if they held discussions with government about changing compensation policy for top bankers. THE DEPARTMENT OF Finance confirmed to TheJournal.ie that the government “has not changed its policy position” in relation to compensation of Irish bankers in bailed-out banks. 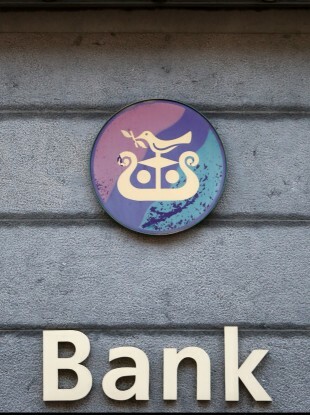 Bloomberg reported today that the Allied Irish Bank (AIB), which needed a €21 billion bailout from the tax-payer, approached the government in relation to setting up an incentive plan to retain top executives. It is reported that chairman David Hodgkinson had discussions with officials at the Department of Finance on reintroducing long-term awards for senior staff at the bank when it returns to profit. When asked about the plans for an “incentive plan” for executives and whether representations were made to government in relation to the proposal, AIB said they had “no comment”. A spokesperson for the Department of Finance said that “no discussions” are underway about AIB’s idea to incentivise executives to stay in the job. The salaries of those working in the bank were capped and bonuses scrapped after the bank’s rescue by the State. Minister for Finance Michael Noonan said last week that the state may seek to sell a stake in AIB before the next general election in 2016. Email “AIB silent over bonus plan for top executives, government says policy hasn't changed”. Feedback on “AIB silent over bonus plan for top executives, government says policy hasn't changed”.